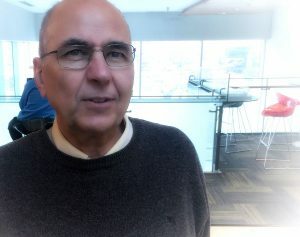 MBA(FS) Corporate Finance, 2002 Winter Intensive – this was the date when I first met Dr. Iraj Fooladi. Corporate Finance is a challenging course, so I entered the classroom with a measure of trepidation. I need not have worried. Dr. Fooladi’s warm welcome and compassionate assurances that all concerns would be addressed in the coming three days, allowed me, along with my colleagues, to engage in a profound learning experience. The next time we met was at the 2003 Graduation Ceremonies. His genuine delight in seeing the MBA(FS) Class of 2003 cross the stage to receive their hard-earned degrees, demonstrated his dedication to sharing knowledge and experience. Dr. Fooladi is an extraordinary teacher, leader and mentor. It was a privilege to have him as my professor. 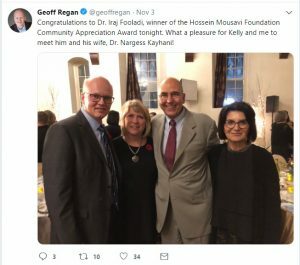 The inaugural Hossein Mousavi Foundation Community Appreciation Award was offered to Dr. Iraj Fooladi, for his significant contributions to Nova Scotia and Canada through his professional activities and, particularly the Iranian Community in Nova Scotia, through volunteer involvement and achievements and by showing strong leadership. The award included $5,000 payable to Dr. Fooladi’s favorite charity. A gala dinner was held to celebrate this outstanding achievement. Over 180 people attended the event including Speaker of the House of Commons, The Honourable Geoff Regan, Halifax Mayor, Mike Savage, and other dignitaries. 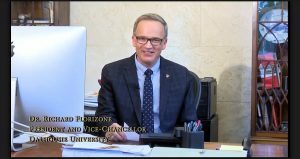 Dr. Richard Florizone offered his congratulations virtually, which we welcome you to view at this link.